If you love the "Nightmare Before Christmas" film, you might want to check out this incredible Etsy store, Tis the Season. They carry other kinds of wreaths, but my favorites here are the Nightmare Before Christmas ones specifically. 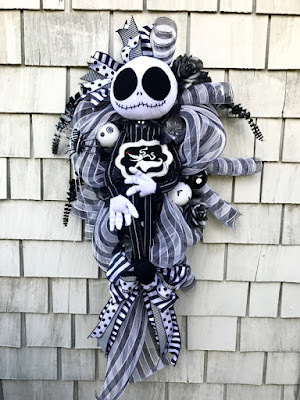 This Jack Skellington Wreath is an impressive 4 feet tall and made with premium black and white ribbon. 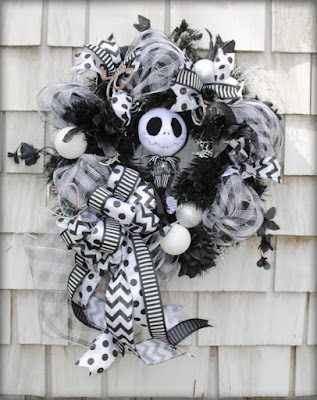 Here is a smaller size Jack Skellington wreath that I find very charming. 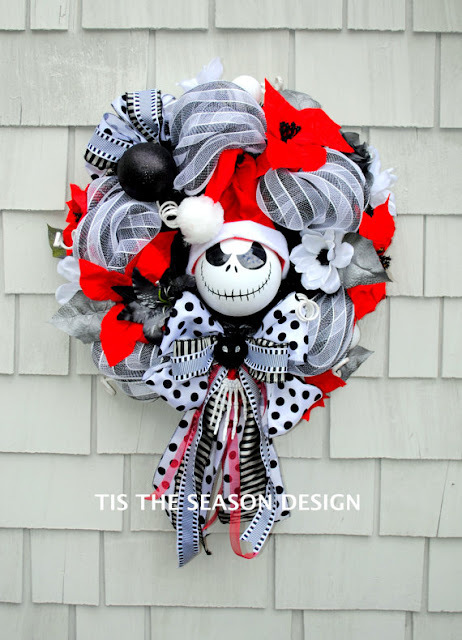 Here is a creepy and cute Nightmare Before Christmas Wreath with a cheerful skeleton face in its center. 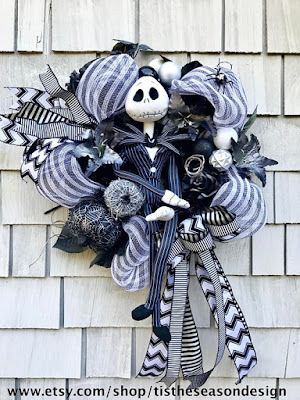 I love the additional of the cute black and white pumpkins that adorn this Jack Skellington Pumpkin wreath. 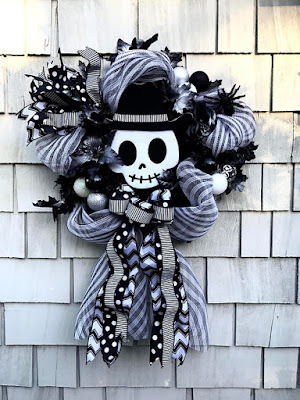 Tis the Season offers some fun and spooky wreaths for Halloween and we hope that you enjoy shopping their impressive Etsy store.